First impressions; isn't the packaging super gorgeous? I mean, just look at the pretty designs of the packs.... High-quality packs with a metal stud button to keep it closed. You could totally just leave the pens within the packs and take the entire thing with you when you're sketching en plein aire. What I liked about the Painter pens was the fact that the pens come individually wrapped, to prevent any accidents from happening during transportation; and the wraps weren't difficult to remove. So, A+ for packaging and design. The Painters are opaque, permanent, water based paint pens; with ink filled barrels that have a little shaker in them- kinda like those old school correction fluid pens. I assume that what I have are blister packs cause I'm missing a couple of colours from the set... It could be that Derwent is selling them in sets of five, though.... Also, they're all 0.5 nibs. They each have a cute name to correspond to each colour. 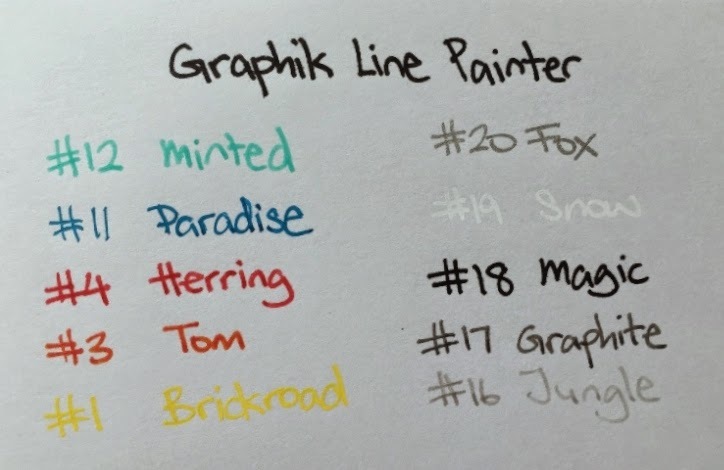 Minted is a gorgeous mint green colour that a pastel princess would absolutely die for; Paradise is a very clear cerulean blue; Herring is a fire-engine red; Tom is an orange that leans more towards red; and Brickroad is a very very pure, bright yellow. As for the greys; Fox is a silver that would really show up well against black paper; Snow is obviously white, but it's not a very very opaque white (the best opaque white I've found was uni-ball's white Signo Broad); Magic is a good solid black but it does feather a little more than I'd like, it'd be good if you have large areas of black that you want to ink in; while Graphite and Jungle are shades of grey. 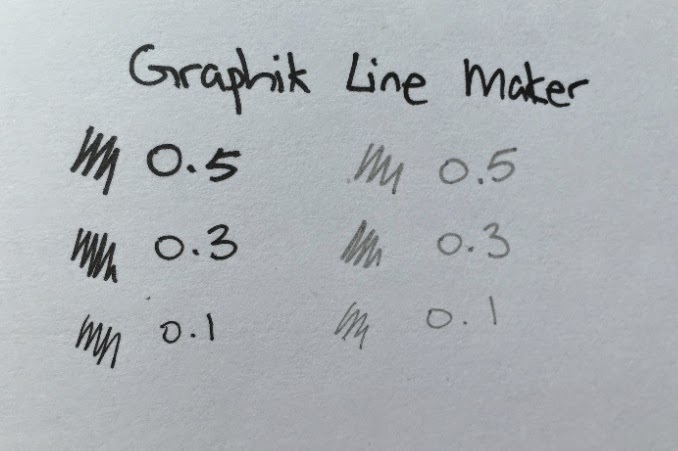 As for the Line Makers... They're standard artist pens- lightfast pigment inks, with three varying nib sizes- 0.1, 0.3, and 0.5. They remind me of Sakura's Micron pens, but somehow the Graphik Line Makers feel better in my hand. The nibs don't feel so scratchy against paper and I imagine I would be using them a lot for zentangle drawings in the future. 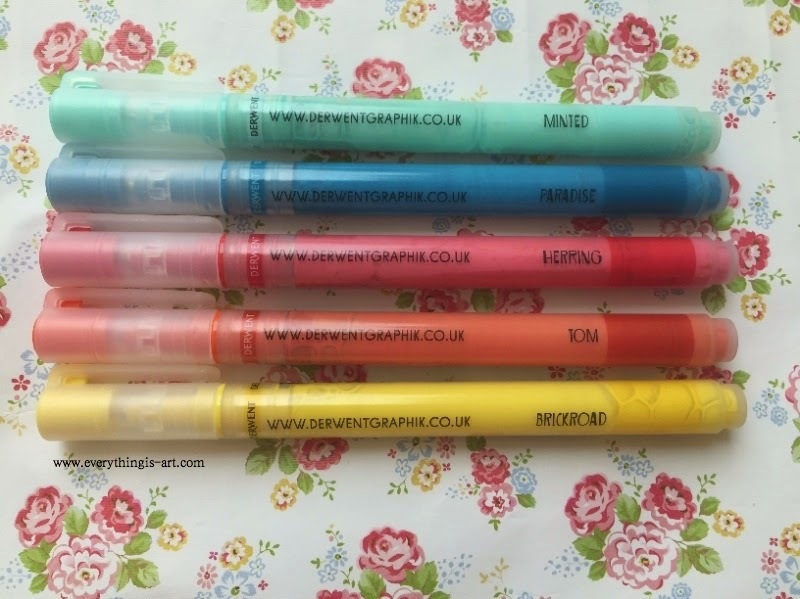 I wonder whether Derwent would add a 0.05 or 0.8 nib in their Line Maker set anytime in the future.... Just found out that Derwent did, in fact, roll out a 0.05 and a 0.8 nib version of these pens. Totally rad. I can see myself doing more projects with the Line Painters and also buying the rest of the lovely colours within the set. 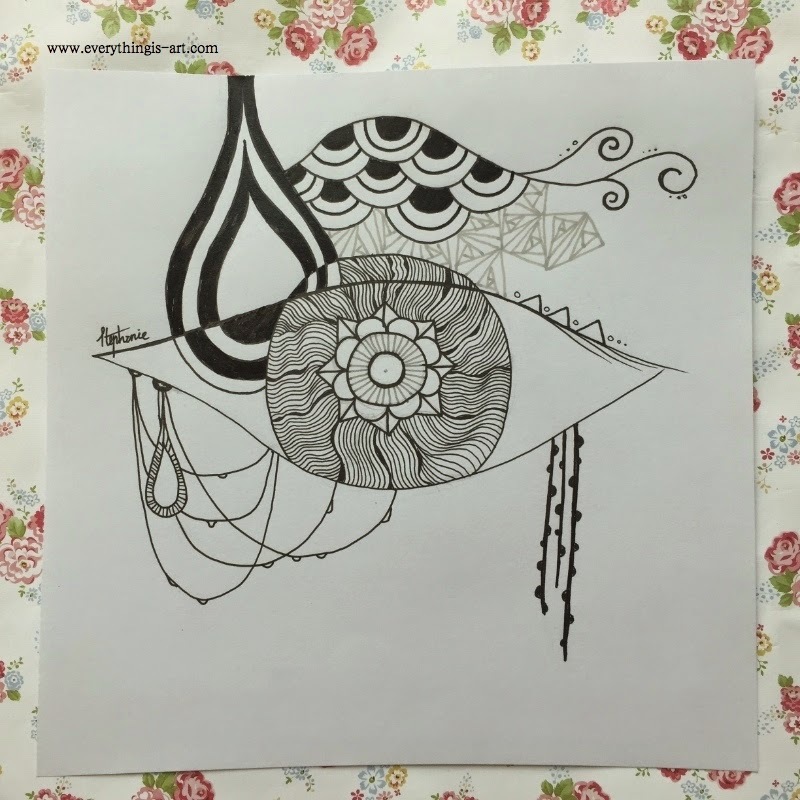 Also, I could possibly have the Line Makers take over my preferred brand of pens for zentangle drawings. And that says a lot. 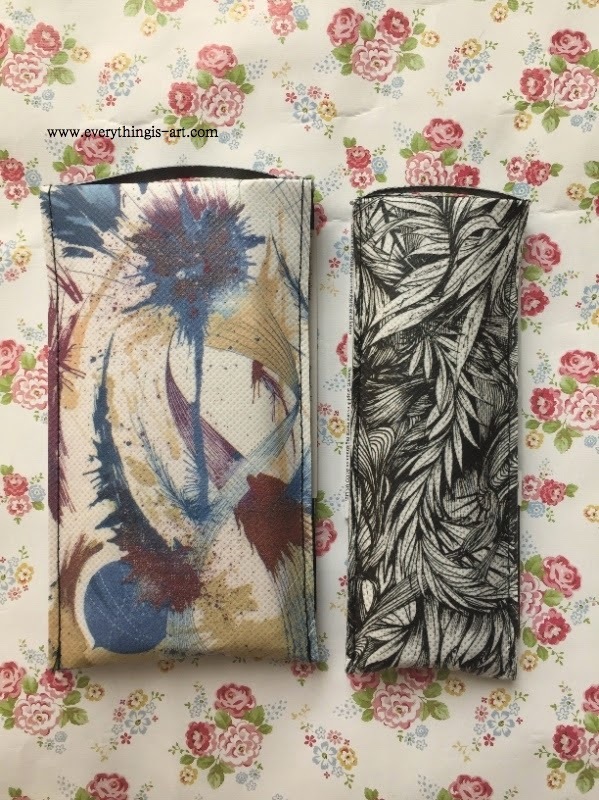 Great job Derwent on a brilliant new product. 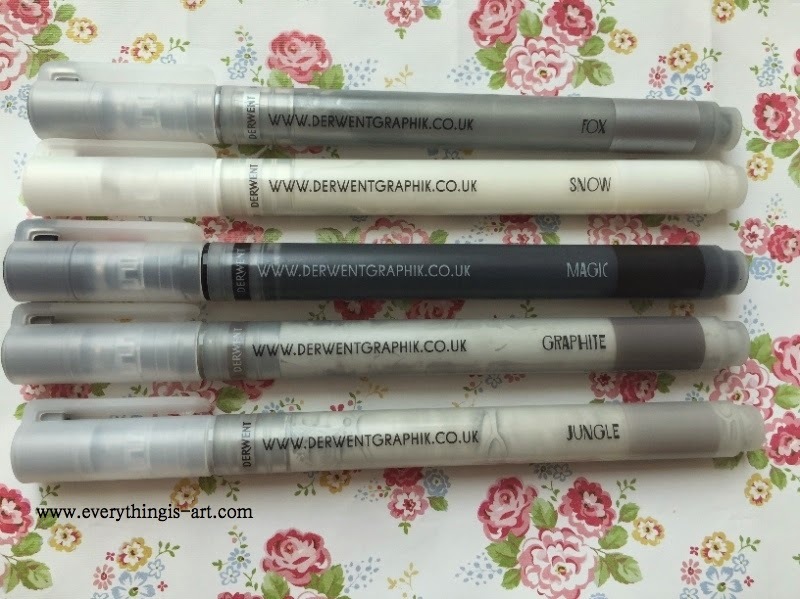 If you'd like to purchase these pens, Art Friend sells them. The Line Painter are sold $23.50 for each set. 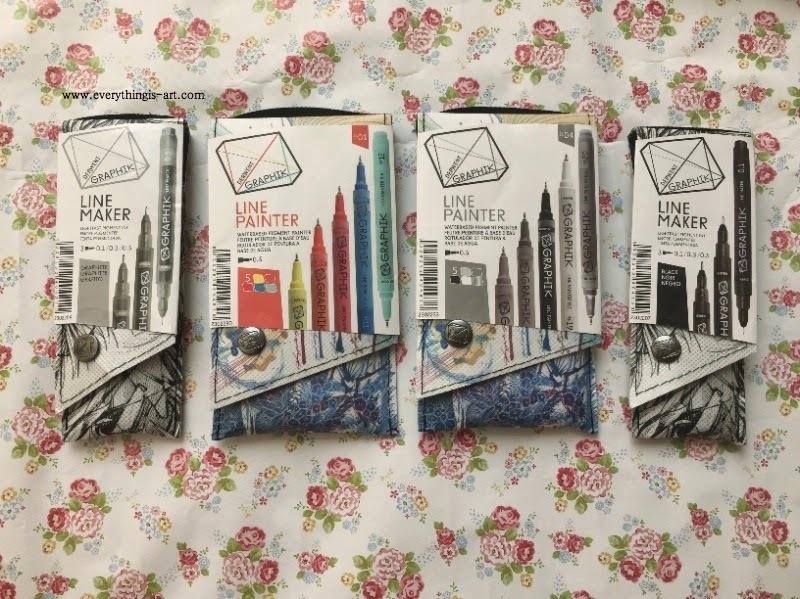 The black Line Maker cost $16.90 for each set. While the sepia and graphite Line Maker cost $9.95 per set each. 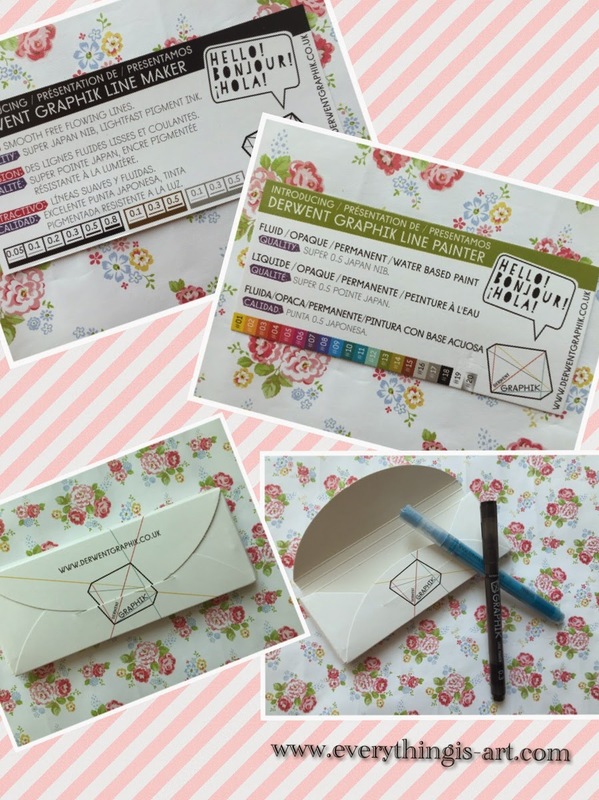 If you'd like to ask me any questions about Graphik pens, or about the giveaway, I can be reached at stephanie_jennifer@ymail.com .